The Museum Horizon Award, in existence since 2009, is awarded by Museum Horizon, the Hans Manneby Memorial Fund for Museum Development. The price is for persons who contribute in an innovative manner to the developing and changing role of museums in contemporary society, local as well as global. The Winner of the 2015 Award is Dr Roeland Paardekooper for his dedicated work and significant contribution in professionalizing the role of archaeological open-air museums when it comes to financial management, interpretation and public relations. He has devoted his work to establish permanent and meaningful contacts between archaeological open-air museums all over the world in order to support their cooperation and to professionalize the methods used within the field of experimental archaeology. The international partners in the open-air museum network EXARC benefit from Paardekooper’s strong conviction that the past has value for the present through supporting dialogue between visitors, interpreters of tangible and intangible heritage, and skilled craftsmanship performing prehistoric life, methods and skills. The prize ceremony will take place on Sunday, September 27 at 12.00, Gothenburg Book Fair, Seminar section at the Conference Centre in Gothenburg. A Seminar with the Award winner Roeland Paardekooper will take place Monday September 28, 10.00 to 12.30 at the Museum of Antiquities, section of Ancient History and Archaeology at the Department of Historical Studies, University of Gothenburg, Olof Wijksgatan 6, Gothenburg, Sweden. The Foundation Hans Manneby Memorial Fund for Museum Development, Museum Horizon, was initiated in 2008 by the Samp intercontinental museum network and ICOM Sweden. Ms Giane Vargas Escobar, Museu Comunitario Treze de Maio, Santa Maria, Rio Grande do Sul, Brazil. The Board of the Foundation Hans Manneby Memorial Fund for Museum Development has five members: Mr Bertil Falck, president, Gothenburg, Ms Elisabet Olofsson, secretary, Stockholm, Ms lnkyung Chang, South Korea, Ms Elina Nygård, Jokkmokk and Ms Anita Modin, Västarvet. For more information: www.museumhorizon.se or contact secretary Elisabet Olofsson, Duvnäsgatan 1, 5tr, SE-116 34 Stockholm, +46 70-4952913, info@museumhorizon.se. EXARC is the international ICOM Affiliated organisation representing archaeological open-air museums, experimental archaeology, ancient technology and interpretation. With 250 members in over 30 countries, EXARC offers a strong supportive network. Roeland Paardekooper was one of the co-founders of this network in 2001 and has been active as director of it ever since. In EXARC experimental archaeologists, staff at archaeological open-air museums and everyone interested in these subjects can exchange knowledge, experience and best practice. Paardekooper's work for EXARC involves contact with all members, getting the word out about their and EXARCs activities and representing EXARC at for example ICOM. Chair of the EXARC Board which consists of seven people is Martin Schmidt (MA), also founding member of EXARC and presently vice director of the Landesmuseum in Hannover, Germany. Roeland Paardekooper, archaeologist from the Netherlands, studied in Leiden for his MA (NL) and in Exeter for his PhD (UK). He is active in the area of archaeology & public. 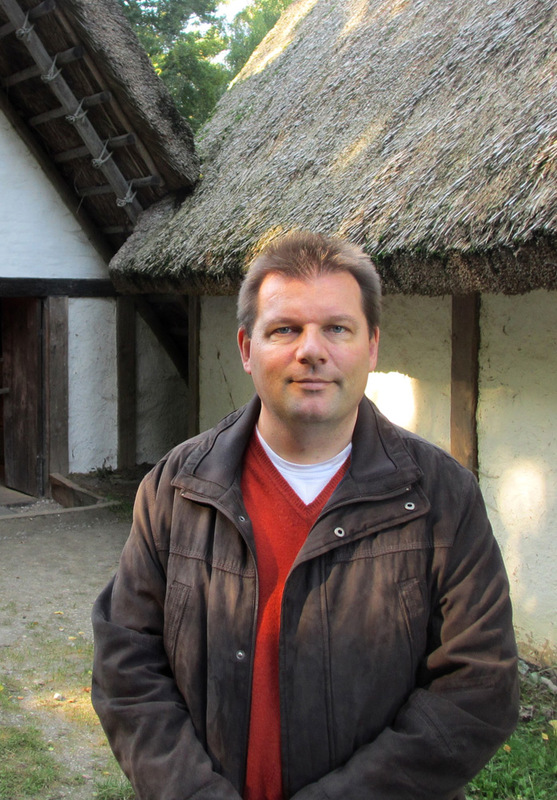 Paardekooper is currently director of EXARC as well as director of the archaeological open-air museum in Oerlinghausen, one of the oldest of its kind in Germany. Paardekooper often gets inspired by things abroad and works very internationally. His expertise is into archaeological open-air museums (AOAM) and experimental archaeology in all its appearances. Paardekooper is archaeologist and organiser and knows what it takes to create a framework for others, to enable, to get the things done which are requested. Besides that he often organises international conferences, think tanks and workshops. He has also wide experience in writing and running EU Projects.